J. Belich & Associates, Inc. | Quality Doesn’t Cost–It Pays ! J. Belich & Associates, Inc.
Quality Doesn’t Cost–It Pays ! 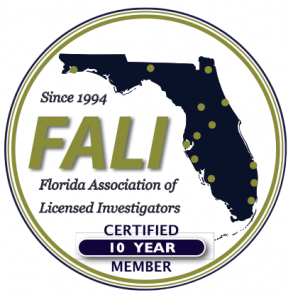 J. Belich & Associates, Inc. is West Central Florida’s premier private investigation agency. We are dedicated to the principal of individual attention and fair treatment to each of our clients. It is our intention to provide the very best in customer service. We cover the State of Florida from our location in St. Petersburg/Tampa Bay. We have contacts and associates throughout Florida and around the country. We are able to handle all your investigative needs, wherever they might be. Quality workmanship, unmatched thoroughness, and reliability–all with the integrity you expect from a quality-driven private investigative agency. We are able and willing to handle your assignment with the highest degree of professionalism and confidentiality. Please call us toll free at 877-724-9253 or email us at info@jbelich.com to arrange a free initial consultation. We look forward to serving you. Call J. Belich & Associates, Inc.
toll-free at (877) 724-9253 today!